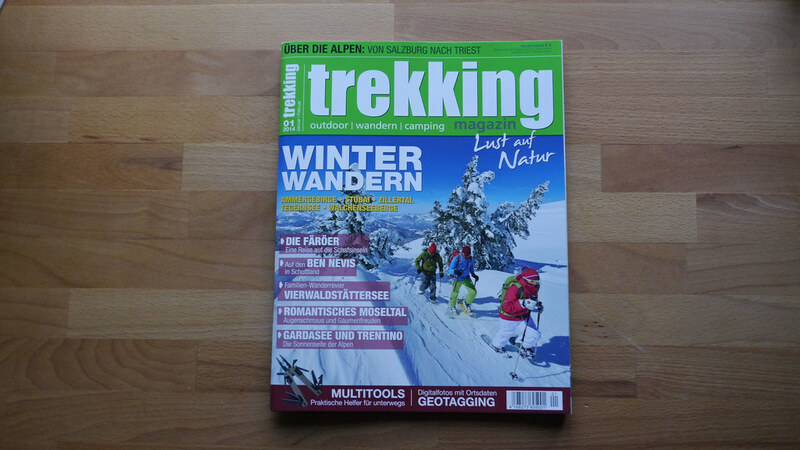 The first trekking Magazin issue of 2014 is since last week available and will inspire you to go outdoors in winter and gives you plenty of great destinations for your 2014 treks! On 100 pages this first issue of 2014 is full of beautiful treks from the Faroe Islands over Scotland to the Lago di Garda in Italy. This issue starts off with getting you in the winter mood and then introduces you to five beautiful winter hikes in the Alps, before it gets sunny in Germany’s Mosel valley. Then we head over the Alps, and make a detour to the Ben Nevis in Scotland. 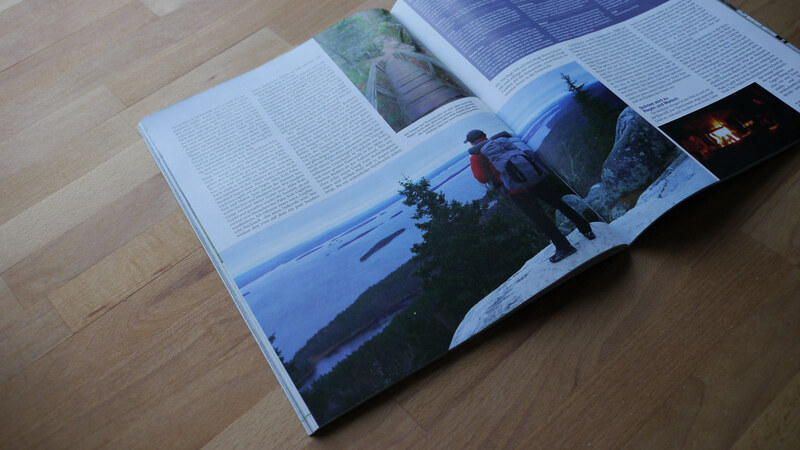 I wrote about my November Trip in Koli and in my gear column evaluate different synthetic insulations from Polartec Alpha and Thermoball to Primaloft and Fleece. But there’s plenty more in this issue, with Multitools and a bike which you can carry up mountains as a backpack and then race down, to how to geo-tag your photos. You can pick the current issue up at a Kiosk, take out a subscription or order a free review copy.